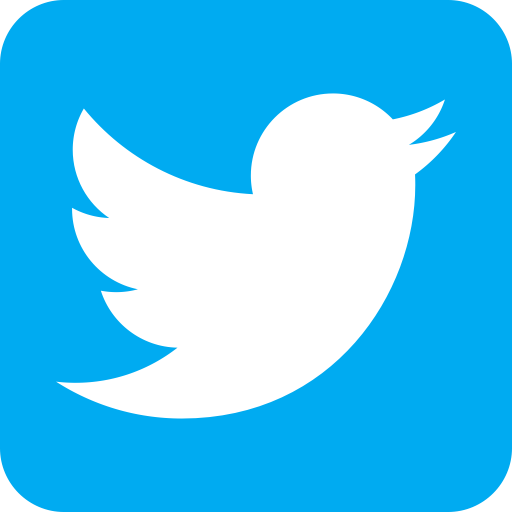 Thomas Aquinas College is a small Roman Catholic liberals arts college in Santa Paula, California. 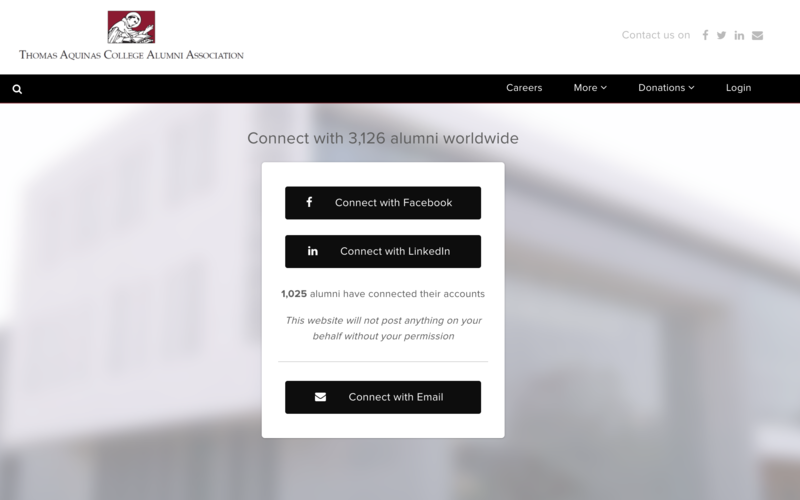 With only one bachelor’s degree to offer, the college has over 3000+ alumni. 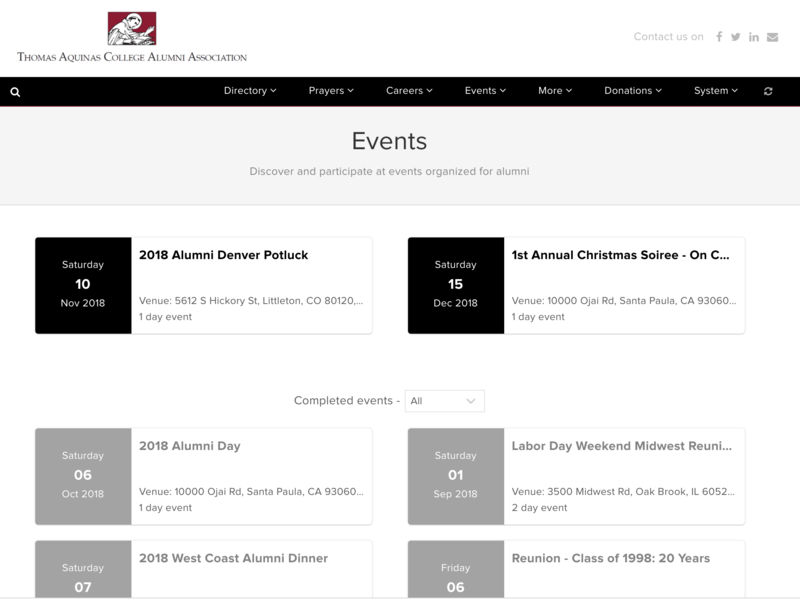 The platform enables Thomas Aquinas College to plan their alumni events effectively. 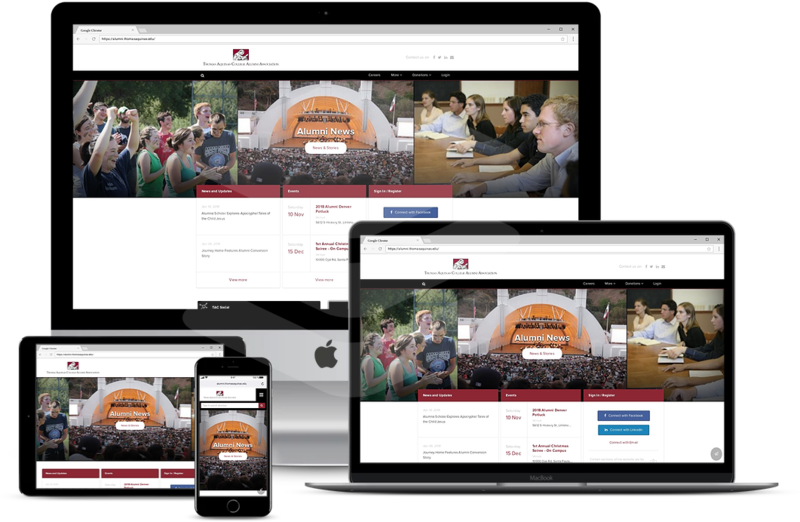 Right from managing the RSVPs to integrating payment gateways for ticket collection, the event planning module takes care of it all. 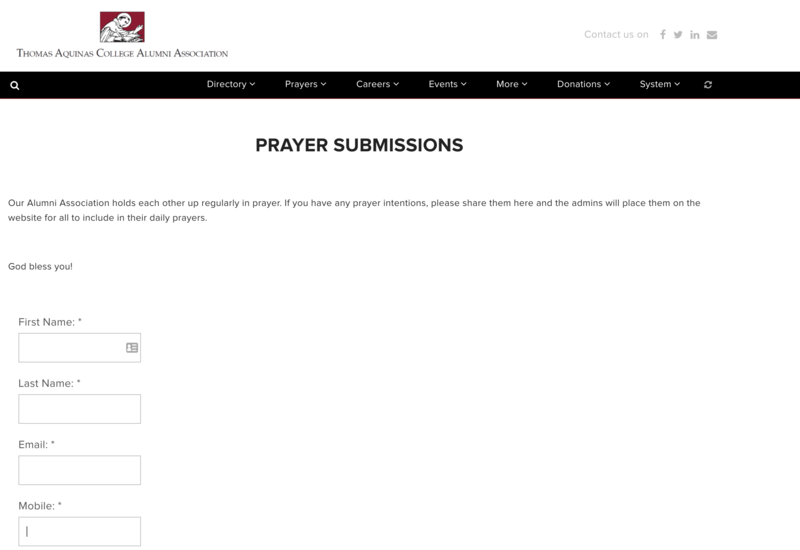 Thomas Aquinas College prayer requests are an essential part of their alumni engagement. 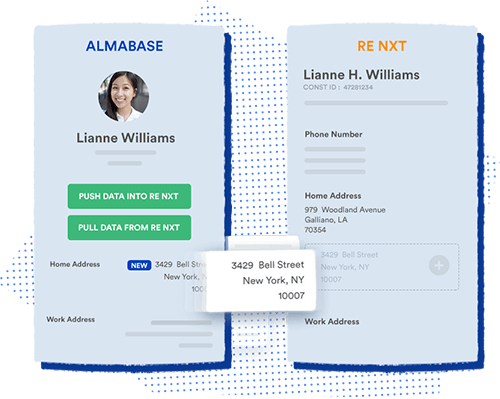 The content management system enables them to quickly set up these requests, without the help of developers.